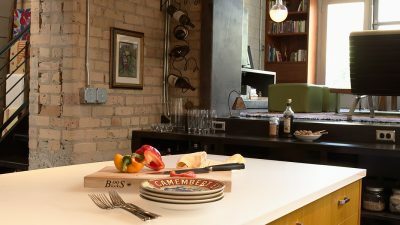 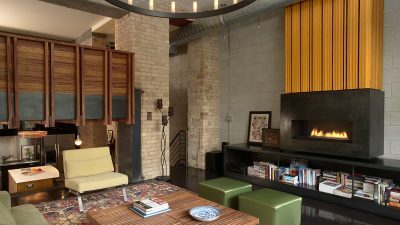 The renovation of this downtown Minneapolis loft began as an effort to bring warmth, refinement, storage/display space for art, books and wine collections and better acoustic separation to a raw, drafty space located in the original loading dock area of the building. 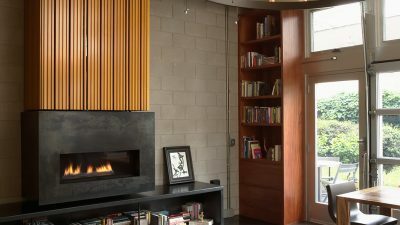 A modern gas fireplace, clad in steel plate and wood slats, was added against an exposed concrete block wall with a 12’ long rolling steel book shelf below. 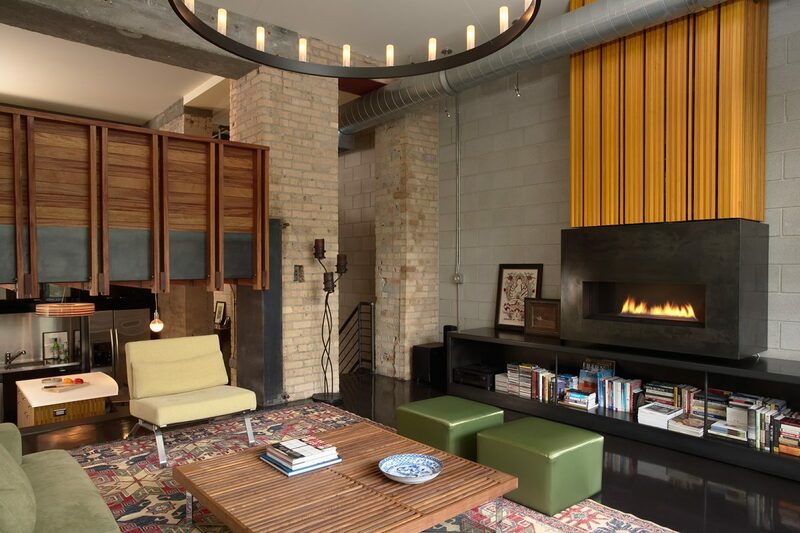 Tall mahogany shelving frames the glass garage door to the public courtyard and balconies were added to bring warmth and function to the space at its edges. 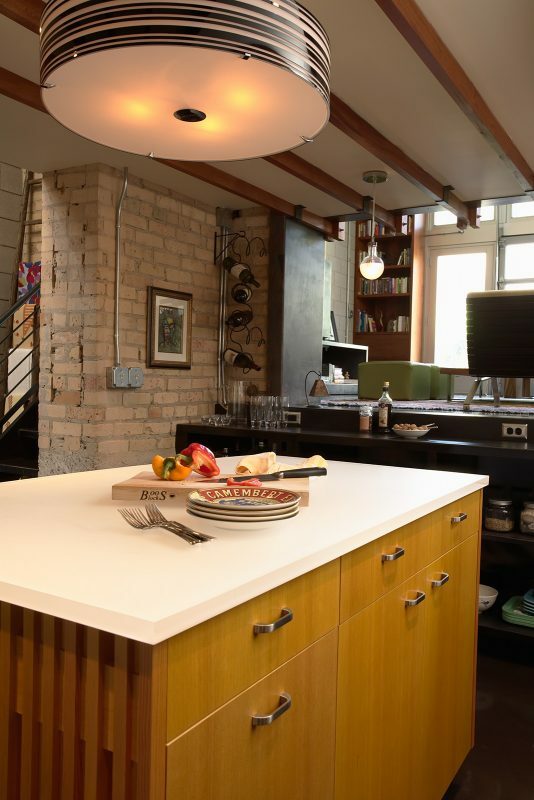 The kitchen, contained in the original brick elevator shaft, was extended and refinished with high gloss car lacquer, steel countertops, new lighting and a wood slatted island with a translucent resin top. 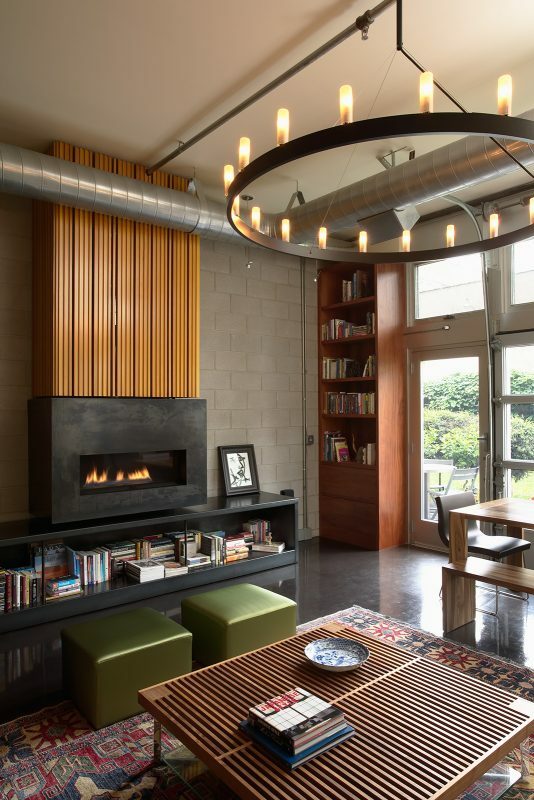 The resulting space is a testament to the creative process and the collaboration of client, architect and craftspeople.